We are excited to announce that the ‘Investing in Education’ Project has now been completed! 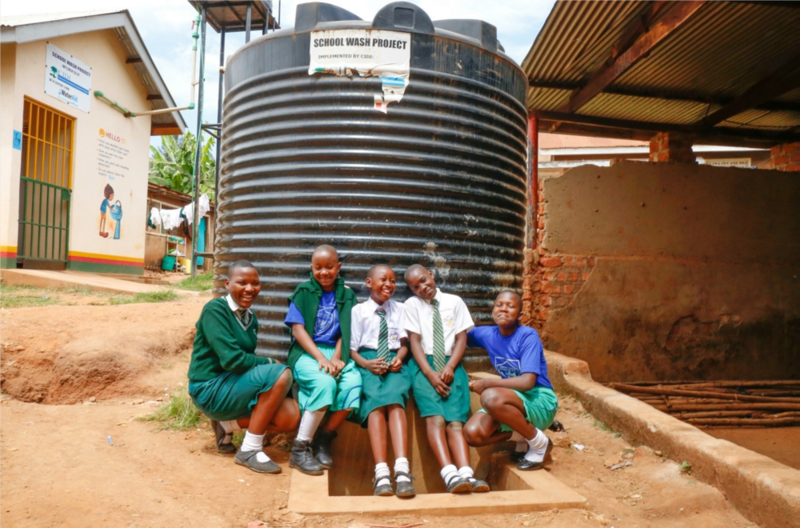 This five-year project implemented by WaterAid brought clean water and sanitation facilities to schools across Kenya, Uganda and Ethiopia. Project Waterfall supported this project during its final year, with funds raised from UK Coffee Week 2017 and The London Coffee Festival 2017. We want to give a huge thank you to everyone who helped make this happen. In its final year, this project brought clean water and sanitation to 20 schools across Kenya, Ethiopia and Uganda impacting 17,734 students and teachers. A variety of water intervention methods were used, including pipeline extensions in urban areas, rain water harvesters, boreholes and wells fitted with hand pumps. Each solution was carefully chosen and designed with local partners to fit the situation and needs of the community involved. Thanks to this hard work we are already seeing the incredible impact that clean water and sanitation is having on the wider community. Clean water is a catalyst for change, leading to better health, education and economy. It is estimated that over 443 million school days could be gained through access to clean water. Since the beginning of the ‘Investing in Education’ project, school enrolment in Kenya has increased by 70%. “The programme helped us reduce absenteeism and I believe we will see more of the impact in the coming year. Students missed too many days due to diarrhoea and other water borne diseases. Girls also missed classes because they did not have the facilities to manage their menstruation while in school.” - Simon Kariuki, patron of the Health club at Racecourse Primary School in Pangani, Nairobi, Kenya. In addition to facilities, education programs like health clubs teach students how to incorporate sanitation into their daily lives and inspire confidence among young girls. Stories like Sharon, a 14-year-old student, in Nairobi, Kenya, are not uncommon. "The best thing this Health Club has done for me is that it gave me back my confidence. I am not sure if I would ever be able to speak in front of people if it was not for the Club. Now I go home and if my siblings eat my food or do something that is not fair, I go to my Dad and complain. He looks at me and says, “What did they do to you at that school?” He does not care what I am complaining about. He is just amazed that I am able to stand up for myself. I told him the whole story, but he still does not believe I have become this confident. It changed my life." We don’t often think about the impact a toilet can have, but in places like rural Uganda where schools don’t always have separate toilets for boys and girls, or sometimes even a door, the impact is enormous. Without a private place to wash up, many young girls who have just began menstruating miss a week of school each month and many drop out entirely. This meant that many girls were unable to pursue their dreams and careers aspirations. 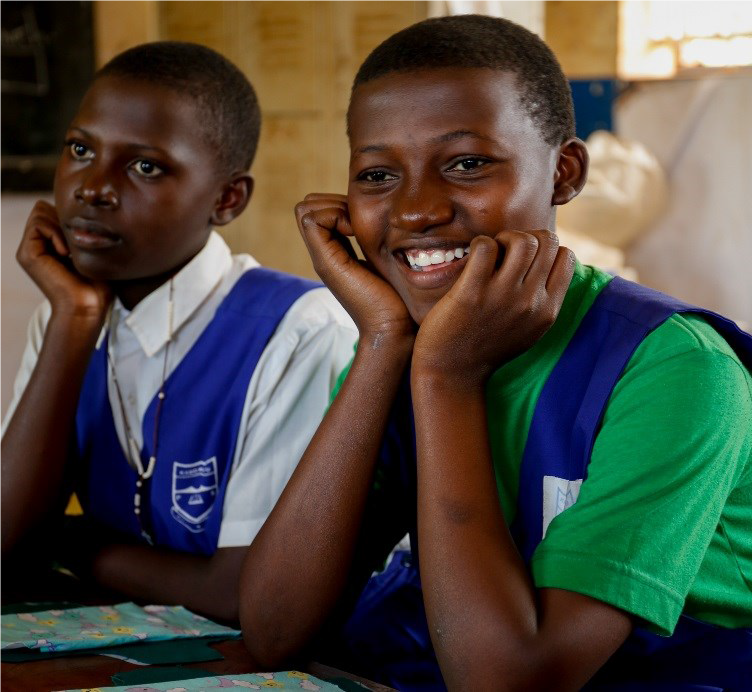 However, thanks to new facilities, girls like Sandra, a 13-year-old from Primary Seven class in Uganda are already experiencing the far-reaching benefits of clean water and sanitation. They say if you give a man a fish, he’ll eat for a day; teach a man to fish, you’ll feed him for life.We would like to say to that; if you teach a child to fish, you’ll teach a whole village to fish. The children attending education programs and health clubs are the real change makers in their communities. Children like 13-year-old Toyiba, from Adamame Primary School in Kalu, Ethiopia are taking the lead when it comes to spreading knowledge throughout their community. We are very excited to see the incredible impact that clean water and sanitation is having in these communities and cannot wait to do even more in 2018. Follow us to keep updated on projects we support and how to get involved.